An easy guide for letter writing. It is meant for first timers. 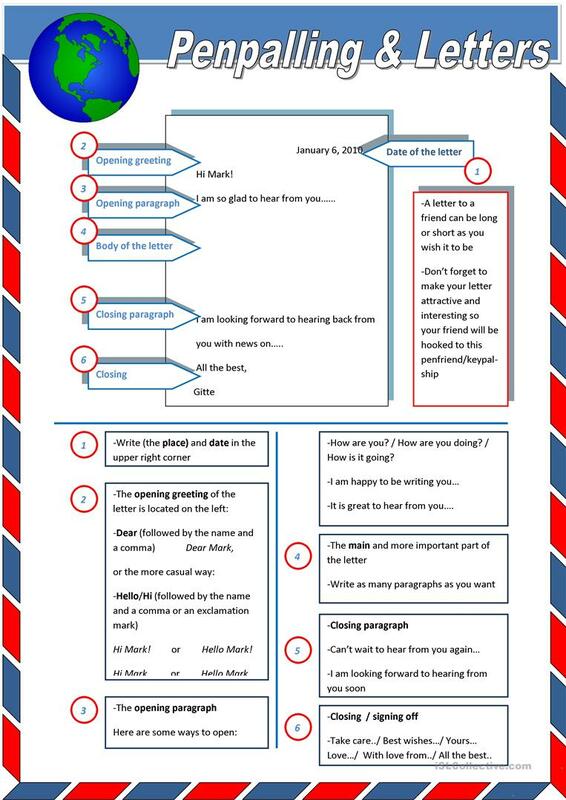 Penpalling is a great thing to do with students and it improves their writing skills very fast. The above printable, downloadable handout is meant for high school students and elementary school students at Elementary (A1), Pre-intermediate (A2) and Intermediate (B1) level. It is excellent for improving your groups' Reading and Writing skills. It is focused on the topic and words of Friends.